As time goes by, more cases of ADHD in children are documented. The Centers for Disease Control and Prevention revealed that only in 2011, about 6.4 million children aging between 4-17 had been diagnosed with ADHD. These cases are often treated with prescriptive drugs, namely Ritalin or Adderall. What most parents do not know about is the amphetamine content of these drugs, which can cause serious side effects. We now know many natural ADHD remedies of combating hyperactivity. These should be taken into account. 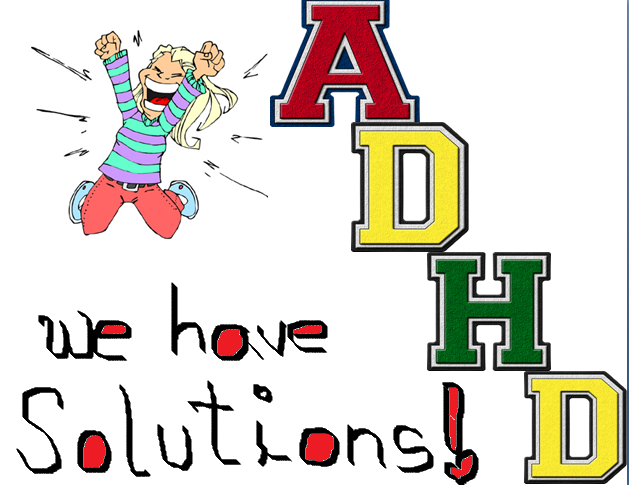 Attention Deficit Hyperactivity Disorder, or ADHD, is a relatively frequent pathological disorder. The basic symptoms it presents are both a recurrent inability to focus and/or an abnormal level of impulsivity taking place in an academic or social context or at the workplace. Lack of attention is most frequently reflected in the form of basic mistakes and an inability of keeping track of what is going on around the person. Kids with ADHD may suddenly start running or climbing when they shouldn’t, and they’re prone to excessive talking. Impulsivity may also show in his/her impatience (when playing games, for example, a practical incapacity of awaiting their turn) and often discursive interruptions. Despite the fact prescription drugs are the easy way out of the problem in the short term, we strongly suggest parents to consider some of the following. No direct causal link has been established between food and ADHD. However, medical studies have proven certain foods can effectively either alleviate or aggravate the symptoms. Constraining sugar consumption, lessening the amount of preservatives, dyes and additives in food we eat, and on the other hand eating more cooked vegetables, protein, fiber-rich food and unsaturated oils are all good practices. You can get more information on the article "ADHD Diet." In order to help a child with ADHD find balance, you need to make him dedicate some of his time to relaxing and cherishing activities. A relatively inflexible schedule, that is regular time to do homework, eating, going to bed, waking up, will help him greatly. Exercising is recommended as a healthy way of liberating his energy. Medical investigations over the effects of massage on mood and behavior have revealed them to be very beneficial for people with ADHD. Taking a 20minute long therapy twice a week for an entire month has showed clear improvements in class attention and general relief from anxiety. Lessaggressive behaviors are also recorded. Healthy mind accompany with a healthy body. All exercise will do the work, yet yoga, tai chi, or qi gong are generally considered to be the best. As long as it’s energy consuming, it could be open to the child’s preference. There are some who also consider exercising in open spaces. It could be a good experience for parents and kids to relaxtogether. Just 10 minutes of listening to nice and slow music, releasing all the stress out. Guidedtalking as relaxing method is also a good alternative, there are plenty of YouTube videos you might find helpful. The most important is to make your child slow and deepen his breathtaking, achieving thisby listening to the music or the soft talking. The effectiveness of these oriental practices is nowadays general knowledge. Both techniques help children, adolescents and even adults effectively relaxing and lessening anxiety and general hyperactivity. Practicing either Yoga or Tai Chi for 20 minutes twice a week will soon result in practical improvements. People with ADHD can also suffer a lot from feeling negative and overloaded. Get rid of these negative thoughts and encourage yourself, point out what goes right during the day and all you have done has been a good job. Build your self-esteem up again. Bed time is generally a good time for you to do this. In recent studies, kids have shown better results at resolving jigsaw when they performed in front of a mirror. This happened because they could judge themselves through their own reflection. Whenever they got distracted, they realized and became attentive again. This can have the opposite effect on normal children with ADHD. An electroencephalographic (EGG) biofeedback is a new revolutionary neurotherapy that can get the children to learn focusing methods by himself or to detect and rectify his own symptoms. It works by measuring brainwaves and giving the child a task, generally in the form of a certain type of video game. He’s asked to control a vehicle, for instance, and as soon as he gets distracted, the screen will go black after losing control of the car or plane. Among other preferred, accepted and generally recognized ways of coping with ADHD, we have some honorable mentions. Meditation is not only a good relaxing practice, but also self-stimulating and strongly recommendable to people suffering from any kind of unbalance. Guided hypnosis, on the other hand, has also proven to be even instantly effective and anxiety-freeing since Mr. Freud’s times.